Body Stop in the Bay is located in Sandy Bay, Hobart, Tasmania. We offer a range of skin treatments including Microdermabrasion, the latest Skin Peels and Skin Rejuvenation to an ever expanding clientele. 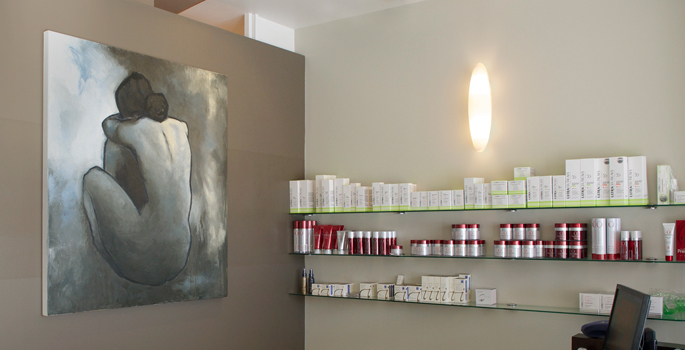 Our Define Clinic offers Cosmetic Tattooing, Permanent Makeup, scar camouflage and corrective procedures. With over 14 years experience and the latest treatments, we can help you to look and feel your best. Sue Spinks, cosmetic and paramedical tattoo practitioner commits to upgrading her expertise with overseas and interstate trainers. Sue is now teaching the skills of Cosmetic Tattoo in Tasmania and Victoria.